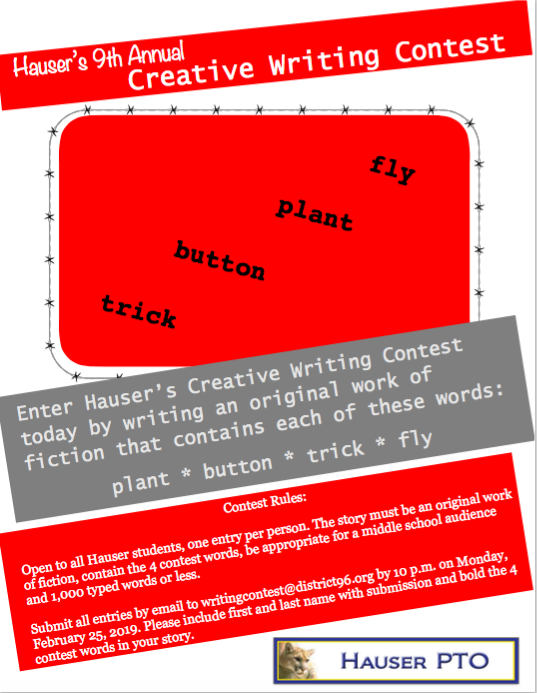 We are pleased to announce this year’s Hauser Writing Contest! All students are encouraged to write an original short story using these four words: FLY, TRICK, BUTTON, PLANT. Your story must use the four words, be 1000 words or less, an original work of fiction, and appropriate for a middle school audience. Entries are due by Monday, February 25th and should be emailed to writingcontest@district96.org. The top three writers will win cash prizes!